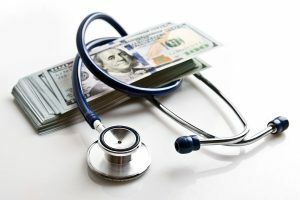 Just last month Premera announced it would drop its health insurance rates on Alaska’s individual market by more than 26 percent. But the drop may not be quite that steep after all, at least for one type of plan. The new factor is President Trump’s decision Thursday night to stop paying Cost Sharing Reductions. CSR is a type of subsidy under the Affordable Care Act. For certain low-income households, CSR lowers what they have to pay out-of-pocket when they see a doctor. Premera, the sole insurer on Alaska’s individual market, said it will still provide the out-of-pocket discounts to eligible customers, as required by law. But to cover the cost, it will raise monthly premiums for the silver plan. Alaska Insurance Division Director Lori Wing-Heier said if the government eliminates the CSR payments, the rates for a silver plan in 2018 will go up five or six percent from what they would have been. Most people who buy on the individual market qualify for a subsidy to help them pay their monthly premiums. They may not feel the increase, because the premium subsidy goes up as the premium goes up. But those who earn too much to get the subsidy will have to pay more to remain on the silver plan. Also, Trump’s move could widen the federal deficit. The Congressional Budget Office said ending the CSR payments, while continuing to subsidize premiums, would actually cost the government $194 billion over 10 years.